If you have a strong, controversial message to share with the world, the Internet is one of the easiest ways to reach the largest number of people. Every day, people use the Internet to push the envelope, bringing words to the table that provoke others to think. It is sometimes difficult to reach a diverse, interested audience on issues like medical marijuana, for example, but where there is a will there certainly is a way. If you already have a functional website, the next step towards maximizing your outreach online is to consider making yourself more directly available to your reading audience. A website is a nice place to start wetting people’s wistle on controversial ideas, but to really muster the troops, a full-time online newsletter is typically better. 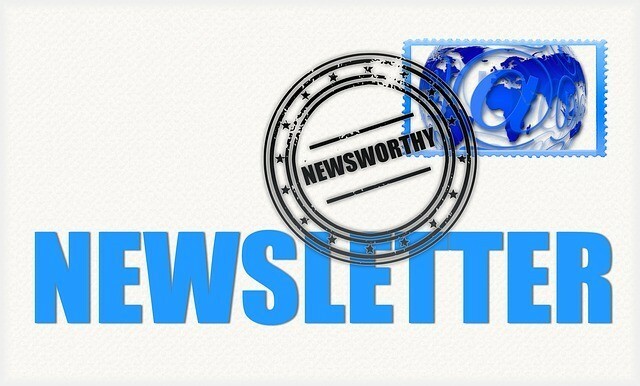 Beginning an online newsletter will require a solid commitment from a willing author. If you have been preparing yourself with lots of juicy ideas to impart to your reading crowd, then putting a newsletter together is the way to make your impact felt. When it comes to setting up your online newsletter, you can either do it the cheap way or the more expensive way. The cheap way to put an online Newsletter together is to run a newsletter through a Yahoo Group forum. The Yahoo Group forum set-up allows a moderator to turn off the posting features of list members. This in turn gives the moderator the option to be the only one allowed to post to his public or private list. Once you have set the group up the way you want, all that is left is to get people to join it. By placing a link from your website to your Yahoo Group, you can effectively grab an endless stream of members on your controversial newsletter. Since it is automatic for subscribers to opt in and out of your newsletter, this makes operating your newsletter from the Yahoo Group’s platform both efficient and easy. According to an article on streetdirectory.com, an autoresponder is an invaluable tool for any type of online marketing campaign. Even if you are simply pushing a controversial message across the Internet, success often depends on how well you market yourself and your ideas. Paying for a service that gives you access to the capabilities of an autoresponder will make it possible to engage your audience on a variety of levels. For instance, you can offer new sign ups a pregenerated course on topics of importance, to make sure they integrate well into your subscriber list, no matter when they happen to join your online newsletter. Because you can set this up to run automatically, this frees you up from having to do it manually each time a new person joins. The only down-side to this option is that it will cost money each month to operate your autoresponder-based online newsletter. Consequently, you must weigh the cost against the need for this type of email generating convenience before committing to the use of an autoresponder.